We're already hooked on beauty water and make our own alkaline H20, but thanks to our friends at Well+Good, the new hydration trend is crystal-infused. Yes, you heard right, you can add gemstones to water bottles, pitchers, and dispensers to instill good vibes, wellness, and self-love. 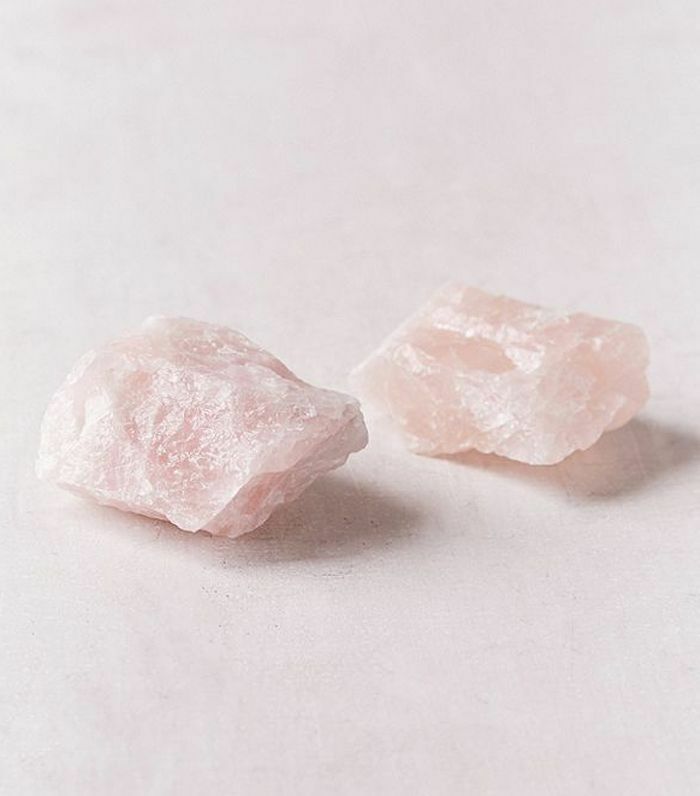 When we first heard of this idea, we weren't sure what to make of it, but when we heard that Miranda Kerr's Kora beauty products are made with water that was "filtered through rose quartz to give the vibration of self-love," our curiosity was piqued and we began to wonder how to make crystal water for ourselves. We first came across this wellness concept when we visited Mane Addicts art director, Desirae Cherie, at her office and found her swigging from a bottle of shungite water. This rare metallic stone from Russia is said to help detoxify and cleanse the body. According to a study published in the International of Advanced Scientific and Technical Research, shungite is one of Mother Nature's finest water filters and purifiers, effectively removing free radicals (the UV ray–inflicted molecules that wreak havoc on your body and skin) and up to 95% of contaminants, including "organic and chlorinated organic substances such as oil, pesticides, phenols, surfactants, dioxins and more." Intrigued, we went on the hunt to source more information on other health benefits of gem water and came across VitaJuwel, a stylish range of crystal water bottles and wands that make guzzling gemstone water a fashion statement and allow you to make crystal water on the go. So what's the main difference between regular drinking water and the crystal-infused type? Everything, according to VitaJuwel USA CEO, Jan Eisen. "Most people experience a slight change in the texture of the water, compared to regular drinking water," she told MyDomaine. "It's often described as clearer and smoother. There's also an amazing difference in the taste between the various gemstone blends we offer." Aside from drinking it, Eisen said, "a lot of people use it to prepare teas; some even enhance their bath water with gems." Institute Hagalis, an international research laboratory for the quality analyses of water, examined the difference between tap water from Ueberlingen at Lake Constance, Germany and a sample of the same water after being treated with VitaJuwel. They found a distinct improvement in water quality, neutralization of harmful substances, improvement of the pH-value and oxygen content, increase in bioavailability of minerals, and an increase in energy balance. 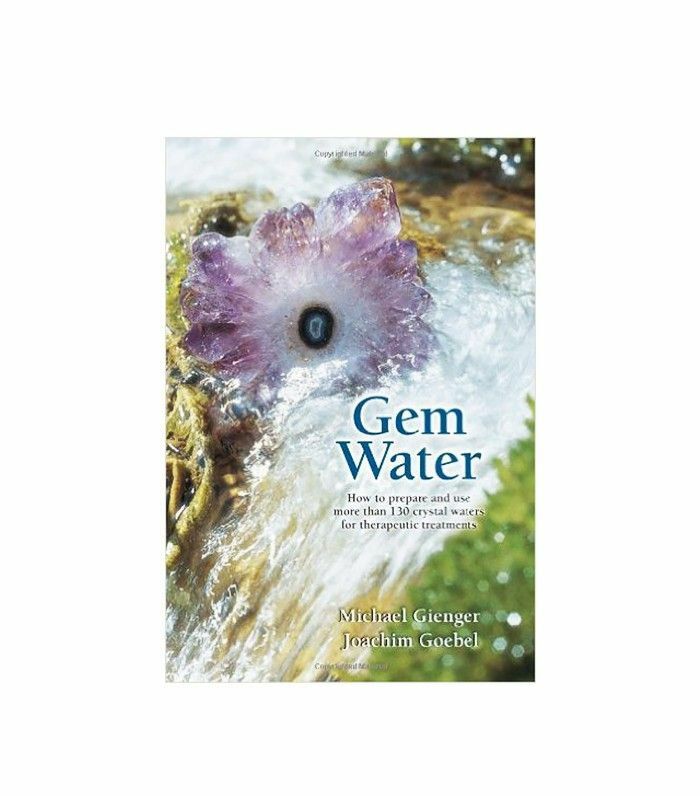 While people have known how to make crystal water and elixirs for centuries, Eisen says this isn't as effective because the gems "dull over time" from constant scrubbing and exposure to the elements. "With VitaJuwel, the gems are sealed inside the gempod, so they don‘t have to be cleaned and stay bright and shiny over the years," she said. Apparently, some stones can release toxic substances into the water while other crystals can be impregnated with artificial resins. 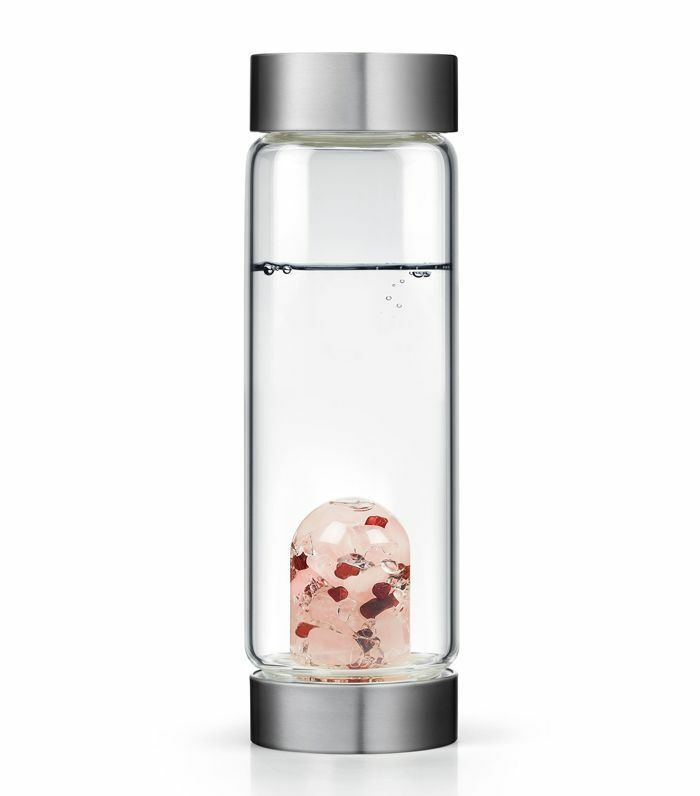 VitaJuwel relieves you of these worries by making crystal water for you. "The gems, though already carefully selected, don‘t come in contact with the water," said Eisen. "Your water doesn‘t get polluted. Despite being sealed inside the glass, the gems still vitalize the water. The gempod acts like a natural prism for the crystal‘s subtle vibrations." 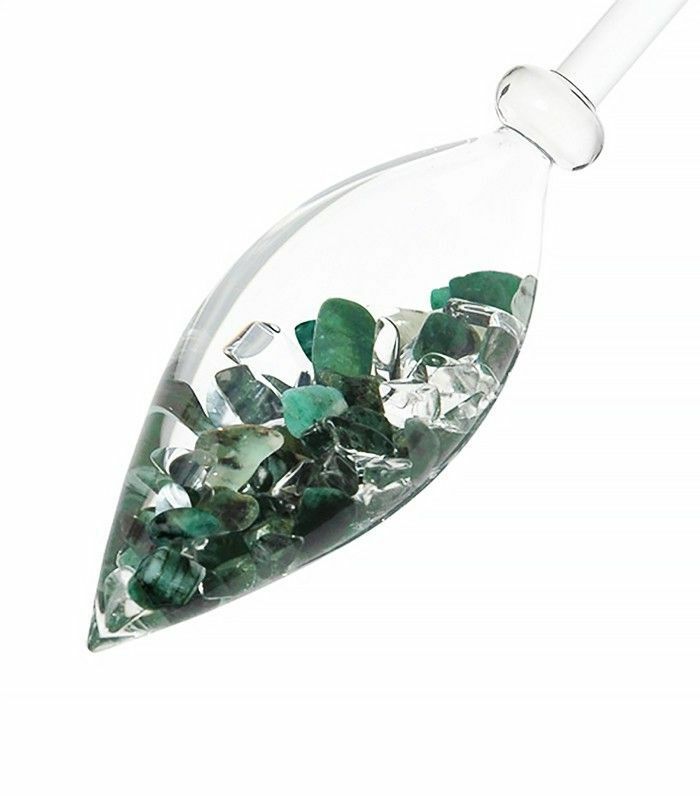 So if you do prefer to create your own crystal water, then be sure to source quality gemstones and clean them first before adding to your water. Now, the million dollar question is how often should you drink it? Eisen says this is all dependent on temperature, exercise, and personal constitution. "You can definitely drink it whenever you feel thirsty," she said. "Lots of people have lost their natural feeling of thirst because VitaJuwel makes water more attractive. We had customers reporting that they drink more water since they use VitaJuwel." Convinced? 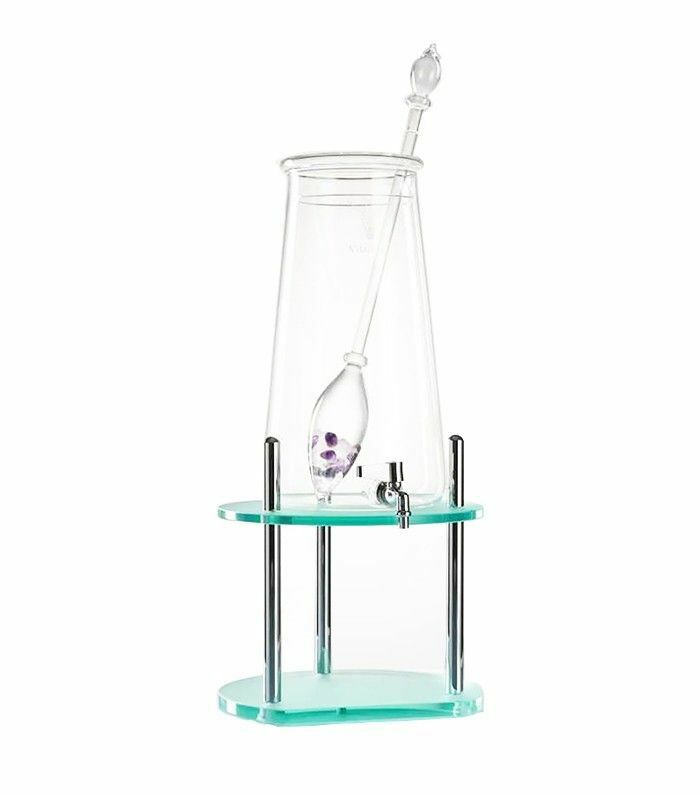 If you want to learn how to make crystal water for yourself, we recommend Hello Glow's rose quartz and aquamarine beauty water, or shop some of our favorite crystal products below and start drinking to your health today. This post was originally published on June 11, 2016, and has since been updated.